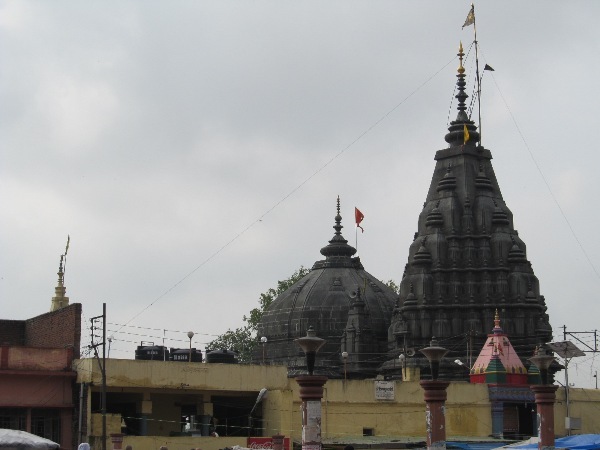 Munger Chandika Sthan Devi Temple is Bihar's one of the famous Hindu pilgrim spots. 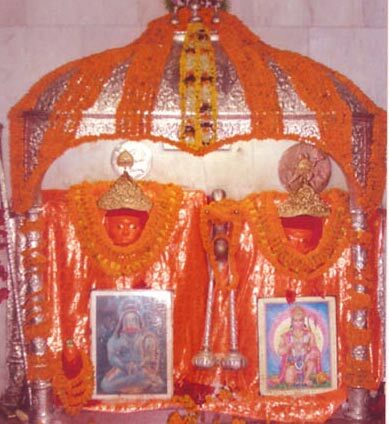 It is a Shakti Peetha Sthan and thus it is considered very holy among the devotees. 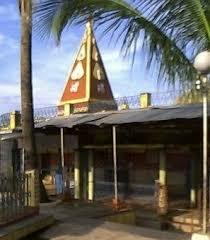 It is visited by devotees throughout the year for its significance and holiness. It is very near to the town of Munger, it is just about two kilometers away in a hilly region. The nearest railway station is Jamalpur Junction station. From there the taxi can take you to the temple. Patna airport is the nearest airport. 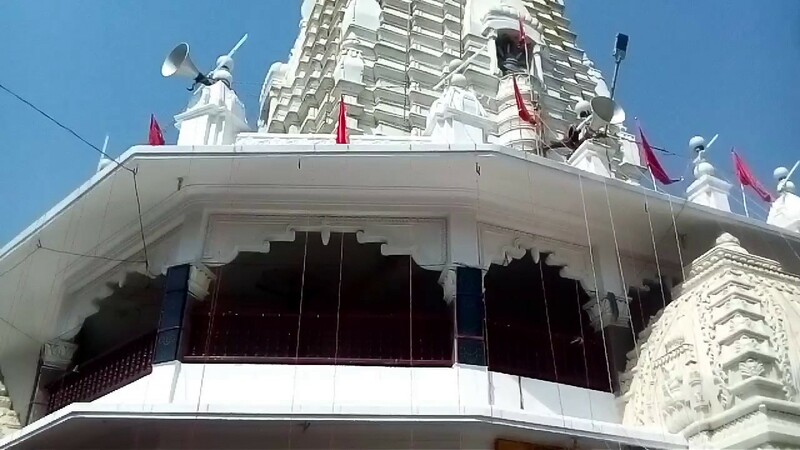 Also, the place has many legends and stories related which are very interesting.The history of the place is associated with the legendary story behind every Shakti peetha in India. 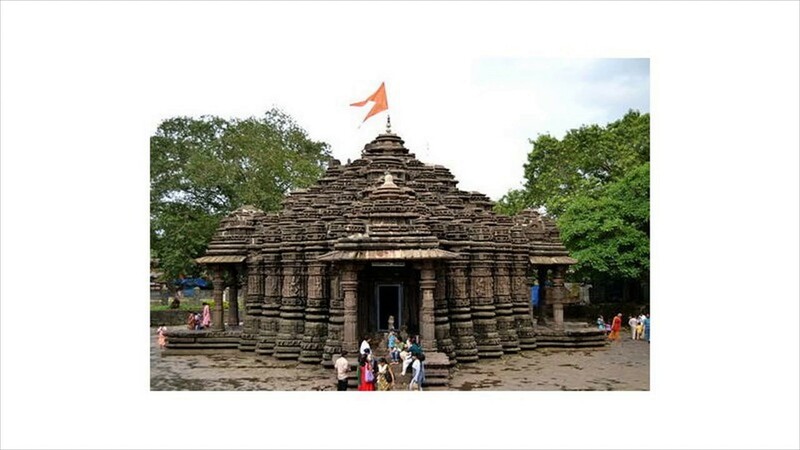 The story goes like this that Mother Sati's father King Daksha was not a liker of Lord Shiva. He couldn't accept Sati's marriage to Lord Shiva. One day when he had organized a massive yagna, he invited all the important gods but left out the most important god, Shiva deliberately. Sati could not take this humiliation and jumped into the sacrificial fire. Lord Shiva got furious and began his violent dance with the corpse of Sati. It is called the Shiva Tandav. The whole earth started shaking from the impact and was in threat of destruction. Sensing danger Vishnu went to calm Lord Shiva. Lord Vishnu with his Sudarshan Chakra cut Sati's corpse into sixty-four pieces. Pieces of her body fell at different places on the earth. 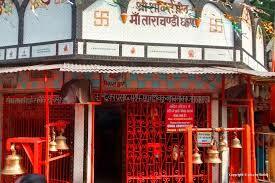 It is said that Sati's left eye fell over here at this place and eventually, all these places became Shakti peethas. 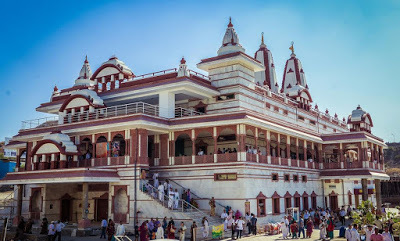 Munger Chandika Sthan Devi Temple is one such Shakti peetha having divine connections. 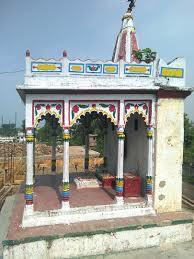 Chandika Sthan needed development around 40 or 50 years back and it was done by the Raibahadur Kedaarnath Goenka. 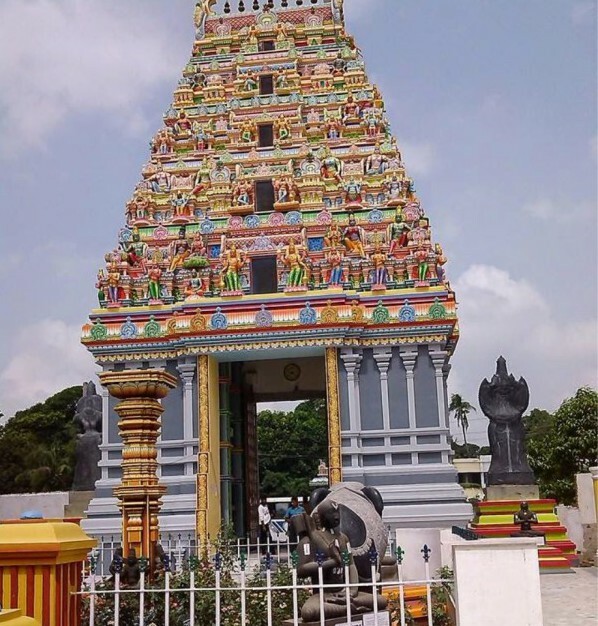 Even Shayam Sundar Bhangad took the initiative of developing the temple in 1991. 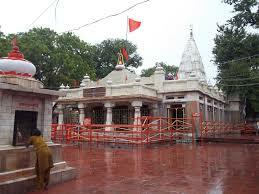 Being a Shakti peetha sthan, the temple is very sacred. 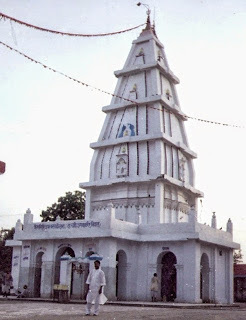 It is one of the sixty-four Shakti peethas present in India. It is a divine centre of Shaktism. Local people over here have a belief that the place can mystically cure all eye ailments. 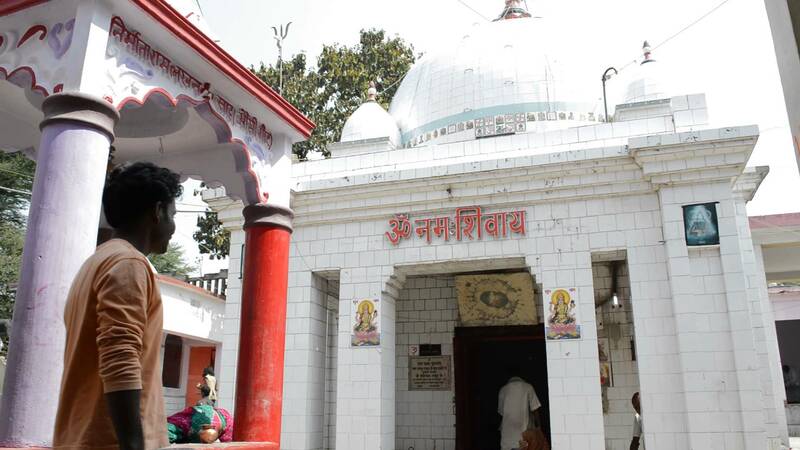 People in Bihar throng the temple to get divine blessings of Mother Shakti. 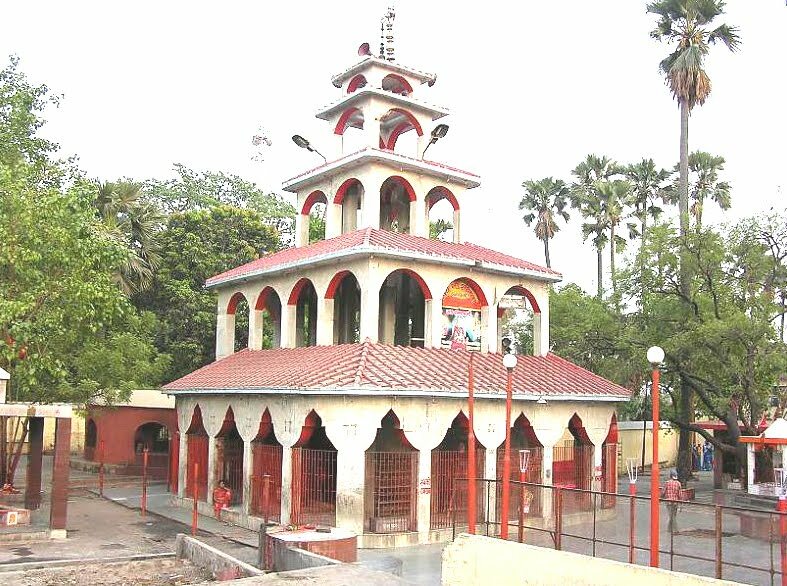 Though the temple is visited by ardent devotees of Maa Chandi throughout the year, the maximum number of visits by the devotee is during the season of Navratri. Navaratri is celebrated once around the month of April and again during September- October. Navaratri brings a lot of tantriks and saints from different places of the country to Chandika Devi Temple here in Munger.